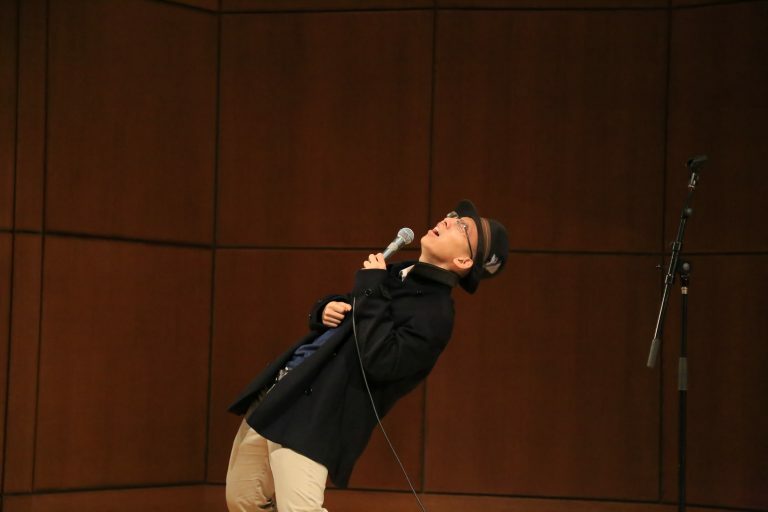 On Saturday evening, November 17, the annual Chinese Bridge Mandarin Singing Contest was held at UBC. 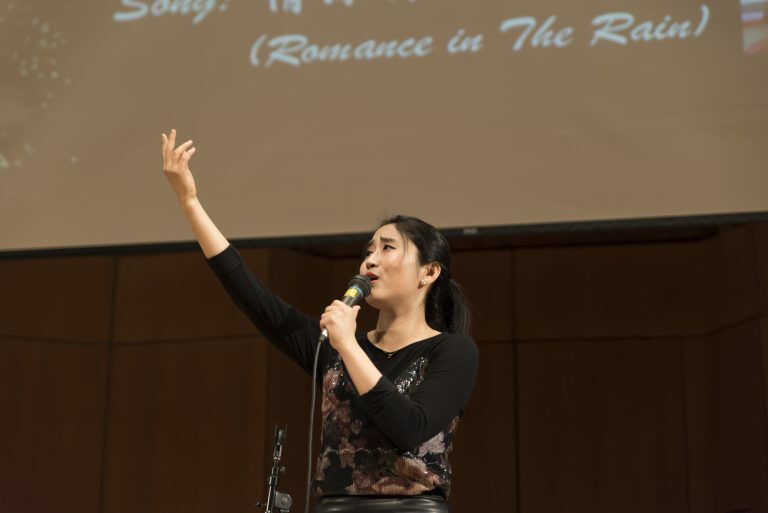 The singing contest was proudly presented by The Education Office of Chinese Consulate General in Vancouver. The event congregated students UBC, SFU, UVic, Langara, Douglas and many other universities and colleges in British Columbia. 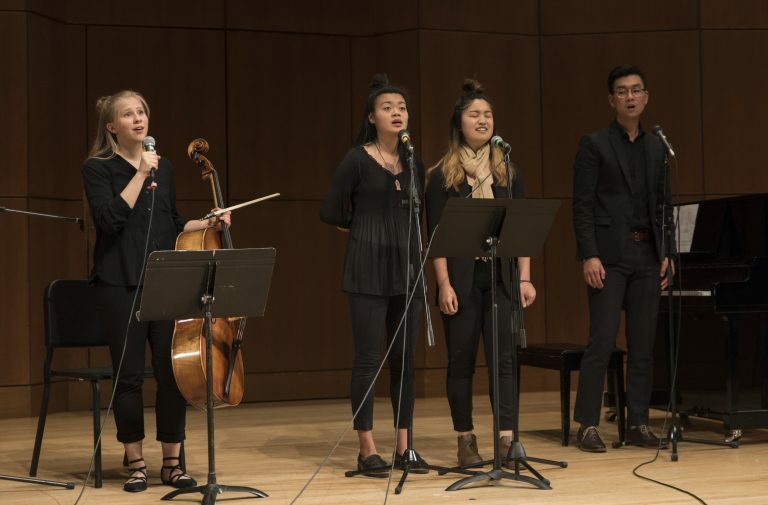 The Chinese Bridge Mandarin Singing Contest promoted multiculturalism and highlighted the common interest for non-heritage students to learn Mandarin. About 100 students from 10 post-secondary institutions over BC participated in the contest. Out of the 19 prizes in total, UBC students won 6 of them. 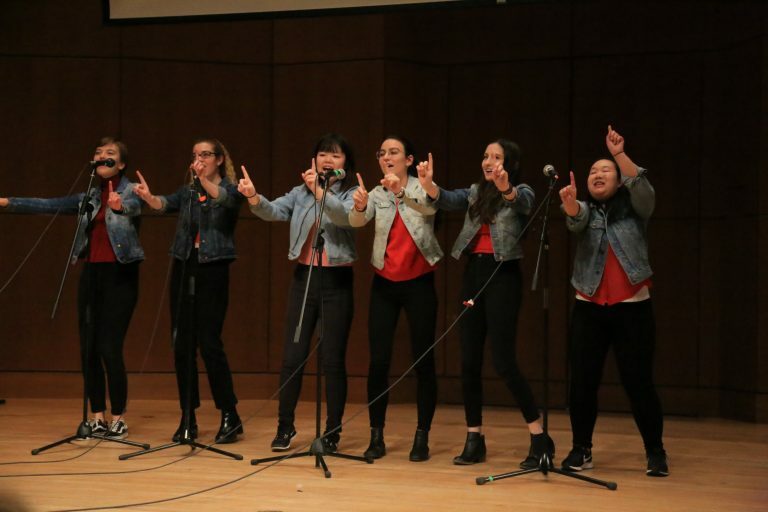 During the event, UBC Chinese Music Club, UBC Kung Fu Association, and UBC Cloud T. Dance Club were invited on stage to perform as guest performances for the audience to enjoy. Congratulations to all the prize winners and every UBC student who participated in the contest on that night. All of the instructors in the Chinese Language Program are proud of you! Many thanks to our wonderful volunteers who contributed their time and effort, sharing their own strengths and ability to help our students refine and polish their performance. Family and friends alongside with teachers and volunteers came out to watch our students’ performance and giving their full support. 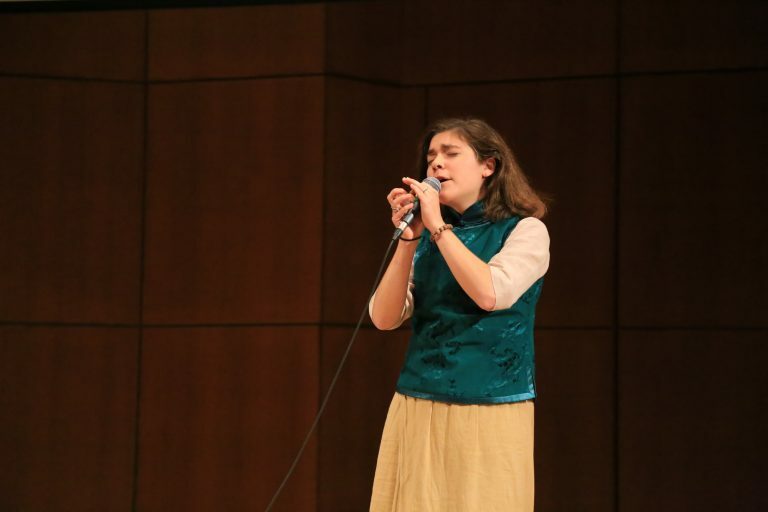 There were over 170 audiences present at the singing contest. The event was remarkable and inspirational for students to advance in their path for learning Chinese. Once again, thank you everyone for joining us and participating the event, we hope everyone will join us again next year!